The Tawaraya Ryokan is a Japanese hotel that goes back to the Edo period. I’m sure many of you have already heard of it. 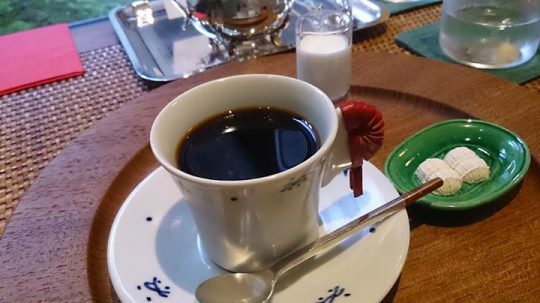 This cafe has been produced by this Tawaraya Ryokan. The building is a machiya dating back to the Meiji era, although you may be surprised to find vintage northern European chairs lined up under a bright atrium creating a comfortably open atmosphere. This cafe does not have a website. The location may be a little bit difficult to find, but worth the search if you like visiting hidden gems.